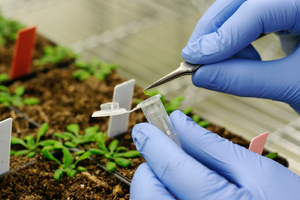 Genetically Modified Organisms (GMOs) have been altered by humans who force non-food genes – from other species – into the DNA of plants, changing the very nature of the food itself. Monsanto’s mutated seeds have taken over 90% of the U. S. soy crop and 95% of the corn. Wheat and fish are next on their agenda. Despite valiant and growing resistance around the world, GMO’s are still on the rise. GMO’s are bad for our health – In 2009, the American Academy of Environmental Medicine (AAEM) called for a moratorium on GM foods stating that “there is more than a casual association between GM foods and adverse health effects. There is causation.” This was confirmed in several animal studies. Many doctors have also acknowledged that GM foods cause adverse health effects and are prescribing GM-free diets. After reviewing more than 600 scientific journals, world renowned biologist Pushpa M. Bhargava, concludes that genetically modified organisms (GMOs) are a major contributor to the sharply deteriorating health of Americans. Animals exposed to GMO’s suffer lethal consequences – Lab rats, mice and chickens exposed to GMO’s, as well as sheep grazing on GMO crops, are often smaller. Most of their babies are dying and they are showing up with cancer, bleeding stomachs, black patches and major irritation in both their intestines and livers. GMO fed livestock have developed pro-lapsed uteruses, delivered offspring pre-maturely and become infertile. There is evidence that the DNA mutations from these GMO products transfers into our own stomachs and continues to function. Monsanto’s Genetically modified corn is also causing organ failure in rats. Some GMO seeds can’t reproduce – Monsanto (the largest biotech company in the world) has created a “terminator” seed that is unable to reproduce. This makes it impossible for farmers to save seeds and replant crops. They become dependent on biotech companies instead of nature in order to grow food. The newer, aptly named “traitor” seeds won’t even develop through the natural stages of the plant unless sprayed with Monsanto’s chemicals. GMO’s threaten evolution and freedom – The very course of evolution itself and the freedom of people to grow their own food are threatened. Millions of years of natural evolution and diversity of seeds are being wiped out in a generation - what we believe is a clear intention to control food worldwide. GMO’s and the “Green Revolution” are not solving the global food crisis. They are making it worse. A four-year study by 400 scientists concluded in 2008 that monoculture and genetic modification of crops are creating significant problems and that small-scale organic farms are best qualified to feed the world. The study was virtually ignored by the US corporate press. How did we develop such an unhealthy food model? If you follow the money, you’ll find that this was a strategy initiated by the Rockefeller Foundation and large agricultural companies to breed dependency and gain more profits. To find out more, go to the Follow the Money Story. While GMO giants are desperately trying to dominate the agriculture industry, organic farming is rapidly gaining popularity. The number of certified organic farms in the U.S. has almost doubled in the last 10 years, which helps it to become affordable to more people. No pesticides and herbicides – organic foods are not sprayed with petroleum based toxins that poison farm workers, pollute our soils, water and air, and are bad for our health. 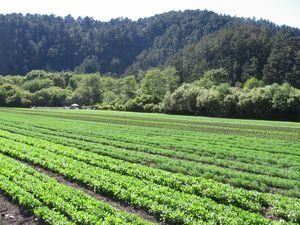 Better farming practices – in order to keep healthy crops, organic farmers use more natural farming techniques such as crop rotation, composting and the interspersing of crops for natural predator resistance and soil health. It’s more nutritious and tastier – more nutrients from the soil give the food a better flavor. There are still some problems with organic. For example, there are lots of industrial organic farms that only grow one crop, organic certification is expensive and the standards are being deceptively diluted. Even more promising are the Permaculture and Biodynamic farming models. These go beyond organic standards and include more holistic approaches such as land conservation, biodiversity, and self-sufficiency. Join the “Millions Against Monsanto” Campaign - click here. Help Inform Others of the Risks of GMO Food - As organic food grows in popularity it becomes less expensive and therefore increasingly accessible. Shop at a Farmers Market - By shopping at farmers markets you can reduce the use of fossil fuels, get to know your local growers, enhance local food systems, build strong local economies, and enjoy fresh, healthy food all at the same time. Find a farmers market near you. Join a CSA (Community Supported Agriculture) - Get your food in a box on a weekly basis from local farmers. You usually get an assortment of veggies, fruit, eggs, dairy, and bread that are constantly changing with the seasons. Plus you get to meet the growers and other health-oriented people in your community. Find a CSA near you or view listings of CSA’s throughout the U.S.
Buy Local and Organic as Much as Possible - Some grocery stores sell produce from local farmers, however, because it’s often cheaper and easier to go through big distributors our food is often shipped from hundreds or thousands of miles away, even when it’s being grown right down the road. To show your support for local farms, and to help get the cost down and the food accessible to more people, if you can afford it, buy local and organic as much as possible and voice your concern to managers at stores when options are limited.